An old fashioned, sweet floral scent. Jasmine, often called the "king of flower oils", has long been used in perfumery and therapeutically. 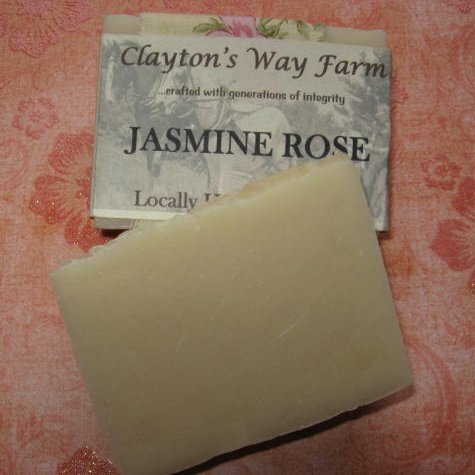 The combination of calming and balanced essential oils give this soap its sweet heady aroma. Many say its reminiscent of their mother or grandmother's fragrances. Indeed a favorite of our very own niece, and CWF soap seller, Lisa! Ingredients: Saponified coconut, palm, olive, soybean, grape seed, and castor oils. Blend of jasmine, rose & sandalwood essential oils.